Your skin naturally produces oils that keep it moisturized and clean. Unfortunately, some of us produce more oil than necessary, which leaves the skin looking shiny and greasy. How can you remove oil from the face so you have healthy looking skin? This article will reveal just that. Blotting paper can be a quick fix to remove excess oil from your face and it won't take your makeup off. This type of paper is smooth and absorbent and can be found in most stores, but if you don't have any on hand, there are alternatives you can use. Tissue paper, cigarette papers, and even toilet seat covers can be used to blot away oil from your chin, nose, forehead and any other oily spots. 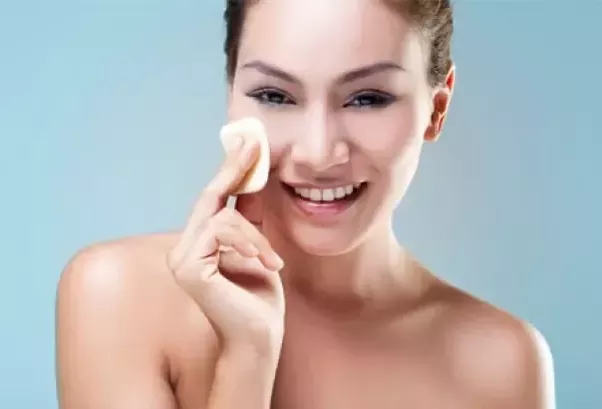 Unlike blotting paper, cleansing pads are wet and contain some soap, so while they will get rid of your oil spots, they will also get rid of your makeup. After wiping your face with one of these pads, you'll want to rinse your face with cool water to help clear away any leftover soap. Toner not only will remove excess oil from your face, but it will clean and tighten the skin as well. There are plenty of toners on the market that can be found at your local beauty supply store or you can just easily make your own. Combine a half a cup of apple cider vinegar with a cup of filter water and shake it up. Then use a cotton ball to apply to your face as regularly as you need to. When it comes to a quick fix for removing oil from face, you just need to turn on the faucet. Rinsing your face with cold water will not only remove the oil from your face, but it will also open the pores and tighten the skin. You get oil-free skin that feels clean and fresh. After rinsing your face, use a clean soft towel to pat your face dry. The tips listed above will only remove the oil temperately, and if you want to have oil free skin for long term, try the following methods. 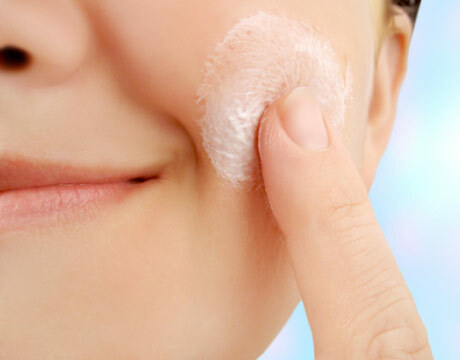 You might think that washing your face more will help rid you of excess oil over the long term, but this can actually cause your pores to produce more oil. It is best to wash your face twice a day and be sure to remove all your makeup before you go to bed. Using a quality exfoliate, whether store-bought or homemade, at least once a week will keep dirt and bacteria from building up on the skin. This also tones your face naturally, but keep in mind that with any new beauty routine, it can take up to a week to see the result you are expecting. After washing your face, you want to be sure to moisturize your skin properly as well. Keeping your skin moisturized will help prevent it from looking dirty or dry while keeping your oil levels balanced. When choosing a moisturizer, you want to use one that is oil free. One effective way to help remove excess oil from your skin is to use a steaming method. This can be easily done by boiling water and pouring it into a large bowl, then hold your face over the bowl. The steam will open up your pores, which will release the excess oil. How to remove oil from face through your diet? What you eat can have a direct and negative effect on how your skin looks. You want to eat a healthy and balanced diet that will keep your skin looking nourished and clean. Try to avoid consuming foods that contain high amounts of fat as well as foods that are spicy, as these can cause the skin to produce more oil and cause inflammation of the skin. Along with eating a well-balanced diet, you want to also include regular exercise into your daily routine. Exercising for 30 minutes a day will help tighten skin and remove excess oils. When you exercise, you sweat which will wash to pores of dirt and oil. Stress can be the leading cause of your oily skin issues. Reducing your stress will also help your overall health. Some ways you can reduce stress is through meditation, yoga, and proper sleep. Egg whites contain a high amount of vitamin A which will tone, tighten and dry out the skin. Lemon juice works as an astringent because of its citric acid and can balance the skin's pH levels. You can make a home remedy of one egg white and juice from one lemon to apply to the face and leave on for fifteen minutes. You can also use egg whites or lemon juice on their own. Whip one egg white and apply to the face and leave on until dried, then rinse with warm water and repeat once a week. Or mix a teaspoon of lemon juice and half of teaspoon water and apply to the face with a cotton ball. Allow the mixture to sit on the face for ten minutes before rinsing with warm water and repeat once a day. Apples contain malic acid and have antiseptic and astringent properties, making them an ideal ingredient for a natural exfoliate. How to remove oil from face using apples? You can create your own apple exfoliate by combining a teaspoon of grated apples, a teaspoon of yogurt and a teaspoon of lemon juice. Mix until you have a smooth paste and apply to your face. Let it sit for 15 minutes before rinsing with cool water. Honey can naturally nourish the skin while also cleaning the pores and reducing oil of the face. Those who suffer from acne will find honey highly beneficial because of its antiseptic properties. You can apply organic honey directly to the face for 15 minutes before washing your face or combine ground almonds with the honey to form a paste. Message this paste over the face once a week to clear dead skin cells and remove excess oil.